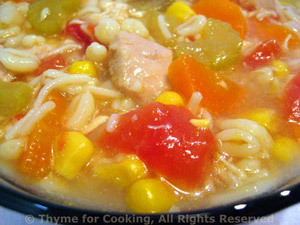 Chicken Barley Soup, Thyme for Cooking gourmet recipes. Another easy dinner from leftovers... 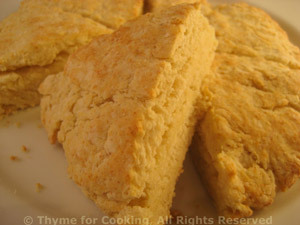 If you buy bread, rather than making the scone - even easier!